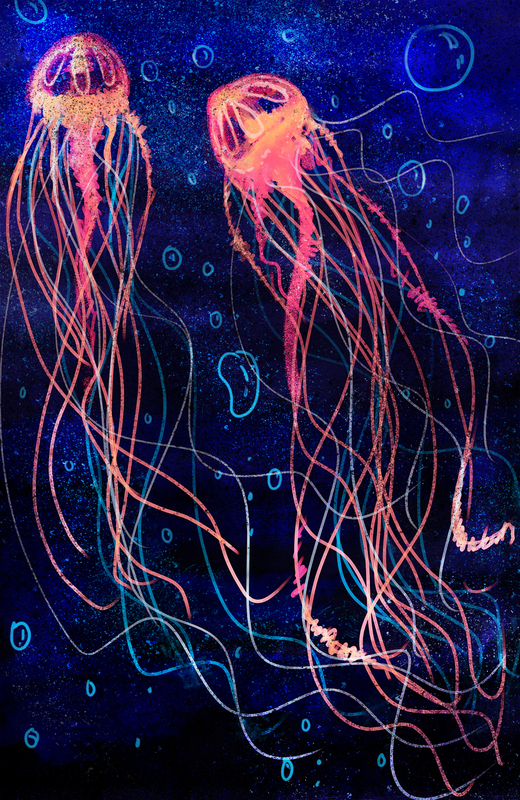 Drawing Jellyfish has been relaxing recently, and has been giving me a chance to explore features on Photoshop, I’ve used a lot of glow effects here. I’m getting really happy with my finished results, drawing every day has definitely helped! Thanks Del, I’ll check it out!